Stretching myself toward my personal goals applies to many facets of life. This morning, like many mornings before, I set off on a power-walk up the hill behind us. The walk starts as a gentle climb and then gets steeper and steeper. I cannot make the full trip uphill without resting at least once on the way. This rest, however, enables me to look back down the hill and see how far I have come and enjoy the view. Today I reflected on how similar my writing goals are to this walk. First of all, I’m doing the power-walk to get fitter – that’s my goal (and to fit into some of my stored clothing!). I get fit by exercising my leg, heart and lung muscles. (I’m sure runners will have more exact terms for these.) By writing, any writing, fact or fiction, I exercise my brain muscle and my writing will become more fit for purpose, which is my writing goal. I will, when I stop for reflection, see the words that reach my goal and those that need further work. I will be stretching myself toward my writing goals. Once I reach the top of the hill there is a flat stretch that gives me time to enjoy my success. My heart slows and my breathing becomes normal. On the way down I don’t walk so fast. Now I have time to enjoy my environment. 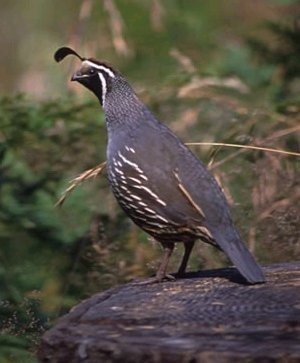 I watch a family of California quail scurry like ground-hugging bumble bees into the undergrowth. I note the purple stems of buddleia swaying in the gentle breeze. I watch the sea fog huddle over the spit. All these images I can store away in my writer’s brain and bring out when the appropriate moment appears. Not only am I stretching myself toward my fitness goal, I’m also stretching myself in many other facets of life. The politics of green – a moving target? Guest blogger: Herb Nordmeyer takes a controversial look at our perceptions of ‘Green’ housing and what ‘Green’ really is. Herb is a forensic stucco consultant, whose parents encouraged an abiding interest in chemistry. Since retiring, Herb keeps busy consulting. He is especially in demand when problems develop on a job site. With Nolan Scheid, he has formed HerbCrete, LLC, to develop, manufacture, and distribute specialty stuccos. These are stuccos for carving to look like natural stone and stuccos to bond veneer to walls so seismic events will not tear them loose. Back in the 1960s hard detergents were used. As a result, in many streams, suds would build up; in fact, I remember seeing suds up to 20 feet high as treated sewage flowed into one of the local waterways. The government determined this was pollution, and each detergent manufacturer came out with a new product that was better and specially formulated to help keep clothes clean. These were the bio-degradable phosphate detergents, and they added phosphate to phosphate-starved streams, rivers, and lakes. This led to eutrophication. We heard about fish dying because we had cloudy days. Lake Erie was declared dead because of all of the phosphates and a few other things. The government determined this was pollution, and each detergent manufacturer came out with an ALL-NEW product that was better and specially formulated to make the white clothes whiter and the colored clothes brighter. These were the high-alkali detergents. Soon babies’ bottoms were being burned by the alkali, and the disposable diaper industry grew by leaps and bounds. The government finally did something about the high-alkali detergents, but by that time disposable diapers were littering most of our streets and highways. Do we make better decisions now, or are we still doing things based on half-baked research and major pronouncements by politicians? During the 1970s the hippie movement was vocal in the Green movement, and they declared that electric razors were not Green; so all men should use a razor with a razor blade. After about six months, someone calculated the amount of energy that was used to heat the gallon of water that was used for shaving. We then learned that we should pull our electric razors out of the trash (hopefully the garbage man had not come) and start using them again. After another six months some brilliant researcher determined that it was possible to shave with a quart of water, so we were told to throw away our electric razors again and start using razor blades. When the sloppy nature of the research was pointed out, one pundit said, “All men should grow beards and learn to admire ladies with hairy legs.” Are we doing any better in our research and decision-making in 2014? Above: Not the green machine you thought? 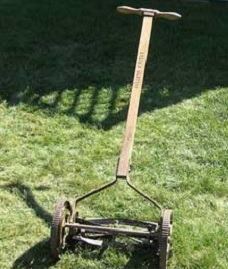 Then Energy Star came out with a list of Green lawn equipment, but the push-power reel-type lawn mower was not included. Apparently no one had paid the $10,000 to have it rated; and since Energy Star had not rated it, it could not be listed as Green. The electric utility owned by the City of San Antonio, Texas, followed suit and announced their major effort to conserve energy and be responsible Green citizens. They gave rebates to people who bought electric lawn mowers. When asked why they did not give rebates for the push-powered reel-type lawn mowers, the answer was, “We are in the electricity business.” They did not want their ox to get Gored. The EPA and the Bureau of Standards developed a program to rate building materials. The program was called BEES Please, and any material going into government buildings was supposed to be rated. A masonry cement, which I developed and masons loved, was made with over 60% recycled material. It was rated as one of the worst masonry cements on the market because people in EPA were trying to ban coal-fired power plants and the masonry cement contained fly ash. This was while there was an executive order encouraging the use of fly ash. My ox got gored that time, and I’m still irritated. Are we doing any better in our research and decision making in 2014? LEED makes me think of the comic strip, Dilbert. Everyone means well, BUT…. To get the maximum rating, we have to build according to the little boxes the developers of LEED think in. We also have to put up with a great deal of bureaucracy. Thermal mass is important. LEED even lets it be counted when it is separated from the interior of a home with two inches of Polystyrene insulation (Insulated Concrete Forms). This is just one of the reasons many LEED structures are not living up to the predictions of the developers. I get most of my heating and cooling from a 20” box fan, so I never put in a central HVAC. I do not need it, but if I would spend about $15,000 to replace my $30 box fan, I might be able to get enough LEED points to be rated. Are we doing any better in our research and decision making in 2014 than we did in the past? Ask yourself whose ox is getting gored, and then maybe you will be able to follow some of the weird moves that are going on. If you are Green, but do not want anyone to identify you with that group, state that you are emulating George Bush. If you are not Green and you do not want to be ostracized by your Green friends, tell everyone that you are emulating Mr Green, Al Gore. Herb Nordmeyer has also written a guest blog on Real Estate Rollercoaster on Green construction. See it here. 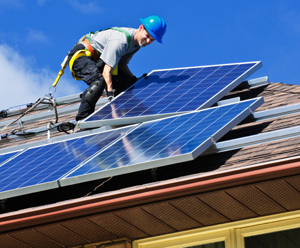 Do you want more Solar Power in NZ?